These are such a treat! 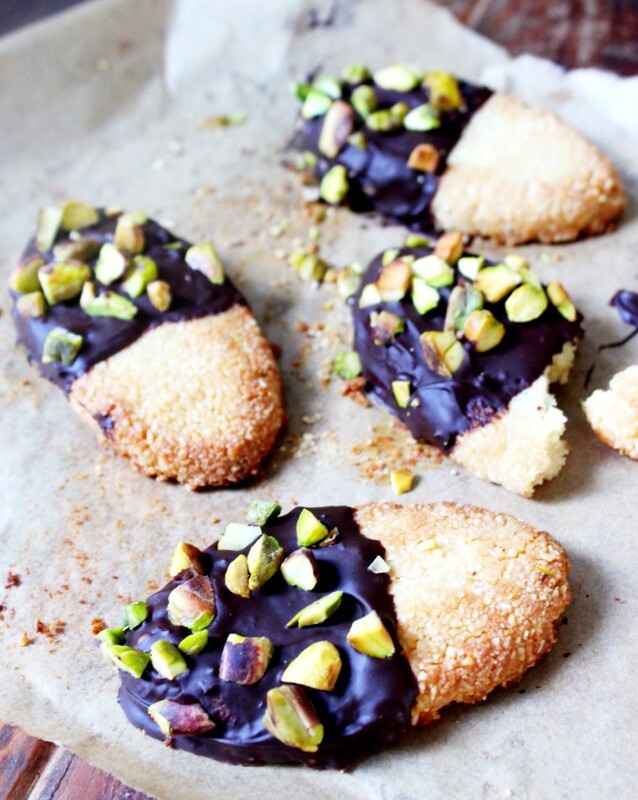 They taste like something from a gorgeous french bakery, the biscuit is soft and crumbly on the inside and perfectly crisp where it meets the rich dark chocolate, it’s just incredible with the roasted pistachios. These are amazing with a cup of tea, they taste like a proper dessert rather than a humble biscuit! Add the ground almonds, coconut oil, sweetener and salt to a large bowl and mix well. Line a baking tray with baking paper. Use your hands to shape the cookies into your desired shape, I went for a kind of surfboard shape which is perfect for dipping. Bake the cookies at 180’C for about 7 minutes until golden and crisp. Take the cookies out and let them cool. While they’re cooling, sprinkle the pistachios with a little coarse salt and then pop them in the oven for 8-10 minutes. While they’re roasting, melt your dark chocolate. Take out the pistachios and roughly chop them. Lay out some baking paper on a chopping board or tray. When the cookies are completely cool, dip each one into the chocolate and lay them out on the tray. 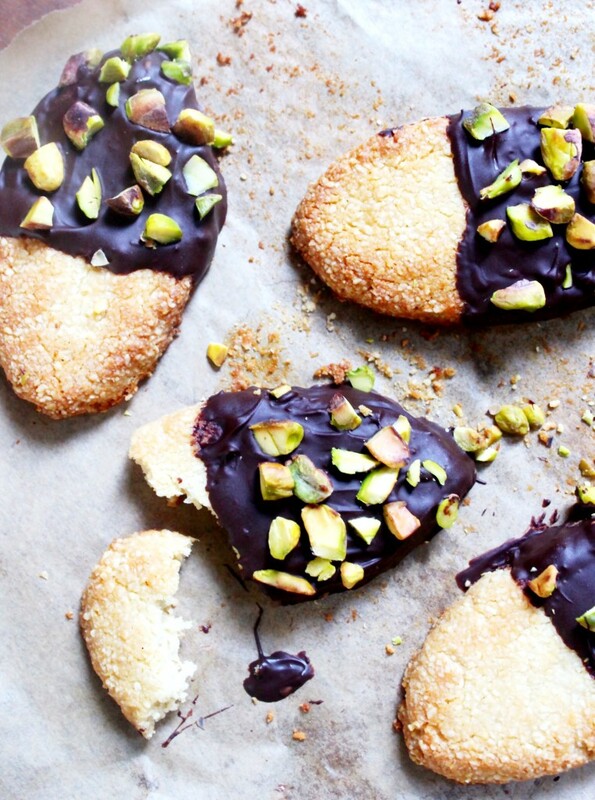 When you’ve dipped them all, sprinkle them with the pistachios. Pop them in the fridge until the chocolate sets and then serve. If making them ahead of time, store in the fridge until serving.